Craig Shirley is an American author, lecturer, historian and public affairs consultant. He has written four bestsellers on Ronald Reagan as well as other NYT bestseller books on other subjects. He has helped produce multiple documentaries on these subjects. He has written many, many articles for various news outlets, magazines and blog sites, receiving numerous accolades and awards for his works. Born and raised in Syracuse, New York, Shirley earned a degree in History and Political Science from Springfield College. Shirley is the second son of Edward Bruce Shirley and Barbara Cone Shirley. He is of English and Scottish descent. His parents were charter members of the New York State Conservative Party, and his father was the first registered conservative voter in the Empire State. In 1964 he went door to door for presidential candidate Barry Goldwater at age 8. In high school, Shirley was a standout athlete, winning six varsity letters and winning the league pole vaulting championship. In 1978 Shirley graduated from Springfield College in Springfield, Massachusetts, where he majored in history and political science. He was also a member of the school’s lacrosse team and track team. 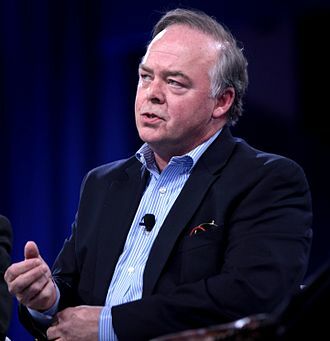 Craig Shirley was professionally involved in American politics and government for over three decades. He worked in government and on campaigns at the congressional, gubernatorial, and presidential levels but now spends his time writing and lecturing on presidential politics and American history.